The Unified Communication as a Service (UCaaS) market is expected to grow rapidly in the coming years, achieving a CAGR (Compound Annual Growth Rate) of 24.5% between 2018 and 2023. This is indicative of the fact that businesses are realizing the benefits of offloading the complexities of UC (Unified Communications) to cloud service providers and consistent with the surge in popularity of cloud services over the last five years. At the same time UCaaS is seeing significant growth, the WAN industry is seeing the SD-WAN vs MPLS (Multiprotocol Label Switching) debate continue. Given the impact UCaaS can have on corporate WANs, it is important to understand how well modern WAN technologies like premium cloud-based SDWaaS (SD-WAN as a Service) and legacy WAN solutions like MPLS can support UCaaS. In this piece, we’ll dive into the topic of UCaaS and explain how cloud-based SDWaaS performance outstrips MPLS when it comes to supporting UCaaS at scale. To understand what UCaaS is, it is first important to understand what UC is. UC, sometimes referred to as UCC (Unified Communications and Collaboration), is a suite of technologies that enable enterprise-level collaboration. Specific technologies that fall under the UC umbrella include: chat/instant messaging, online meeting software, team collaboration software, video conferencing solutions, telephony/VoIP solutions, and more. In short, if it connects people in the enterprise in real time, it likely falls into the UC category. As the name implies, UCaaS takes these services and provides them “as a service” in the cloud. As you may have noticed when we listed the various UC technologies, many of them are bandwidth intensive and latency sensitive. This means that while the UCaaS model has its benefits, it can also put a significant strain on WAN infrastructure and lead to challenges and productivity loss if the infrastructure cannot keep up. Given the importance of real time communication to business, enterprises need to place a premium on ensuring UCaaS is deployed in an environment that is conducive to providing an adequate level of performance. MPLS gained popularity throughout the 2000s as a reliable, if expensive means to connect WAN endpoints. When most WAN data was transferred between corporate datacenters and a small number of branch locations, this approach made sense. However, as the popularity of cloud applications rose, some shortcomings in the MPLS paradigm became apparent. Cloud-based workloads inherently require traffic to head off the corporate WAN and out to the Internet. Trombone routing occurred when traffic was routed first to select corporate datacenters or HQs from branch offices before being sent on to its final destination on the Internet (creating a trombone shaped loop). This additional hop(s) added latency and overhead that could lead to degraded performance with cloud applications. MPLS bandwidth is expensive and paying twice for cloud bound traffic (once for the MPLS bandwidth, then again for the Internet bandwidth) is inefficient. In short, MPLS created an environment where businesses were paying more for less when it came to cloud services. Not only do these same challenges apply to UCaaS, they are exacerbated by the fact UCaaS applications can be bandwidth intensive and latency sensitive. The further you scale UCaaS, the more apparent the MPLS shortcomings become. 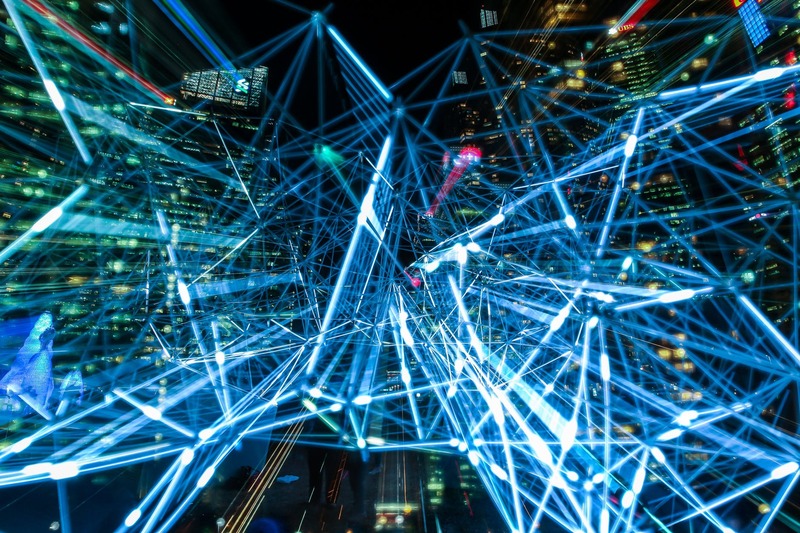 One of the fundamental benefits of SD-WAN over MPLS is the ability to leverage economical, high-speed Internet connections for cloud-based applications. As SD-WAN enables enterprises to use whatever transport method (e.g. xDSL, cable, 4G LTE, etc.) is right for the job, it inherently resolves the aforementioned trombone routing problem and allows enterprises to lower their bandwidth spend. The benefits to accessing bandwidth-intensive, latency sensitive, cloud-based apps like UCaaS are clear. Pay less and get more. Similar to how UCaaS exacerbates MPLS’s weaknesses (cost and lack of flexibility), it highlights SDWaaS’s strengths (flexibility and affordable bandwidth). Traditionally, the knock against SD-WAN has been that it did not offer the same level of assurance or reliability via SLAs that MPLS can. However, premium SDWaaS service providers make that a moot point as their solutions are SLA-backed and have a robust backbone that is supported by multiple Tier-1 ISPs (Internet Service Providers). UCaaS is an excellent microcosm for the SD-WAN vs MPLSdebate as a whole. While MPLS was a suitable WAN technology for the early 2000s, the cloud-based workloads of the modern world demand a WAN infrastructure that can deliver flexibility and high performance without breaking the bank when it comes to bandwidth. SDWaaS was designed from the ground up to meet these challenges, while MPLS was not. In order to get the most out of modern cloud services like UCaaS, businesses are well advised to select a WAN infrastructure based around SDWaaS as opposed to MPLS. The post UCaaS highlights how cloud-based unified communications require cloud-based SD-WANs appeared first on erpinnews.